Wow! From the moment you step into the community at Encanterra, you'll feel the lifestyle. Next, this gem awaits your most particular buyer! This immaculate and gorgeous home showcases a very spacious, entertaining floor plan. Super close to Algarve Clubhouse! 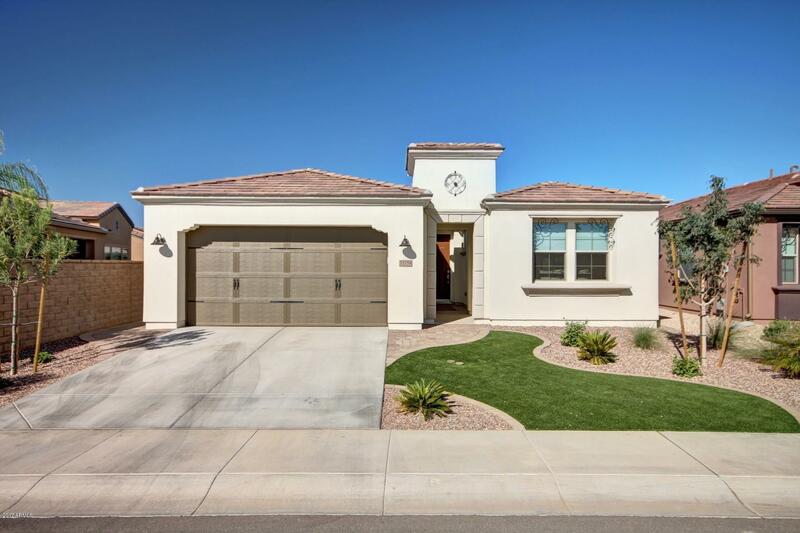 Complete with over $85K in upgrades, you will find wonderful finishes throughout, with granite, shaker cabinets, quartz in the master bath, beautiful tile, and high end appliances. Lots of storage in the laundry room & Smart Space. This home will move you! Pre-plumbed for BBQ, Solar. A great lock-n-leave type home with a low care yard. Enjoy golf, dining, concerts, pools/spas & much, much more. Why build, when you can start living the Good Life at Encanterra today!